They're classy and poised most of the time, but take a look at these moments when famous politicians were caught completely off guard. 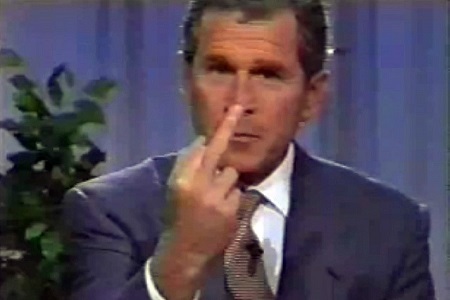 Former President George W. Bush flipped off the camera while he was governor of Texas. He said it was a "one-finger victory salute."